You spend dozens of hours gathering information for your eLearning program or training deliverable—interviewing SMEs, parsing the dense language of technical manuals, designing storyboards, finally developing the content—only to have the end product tripped up by an embarrassing typo or a missing page or a coding error. A solid quality assurance process would have saved you. 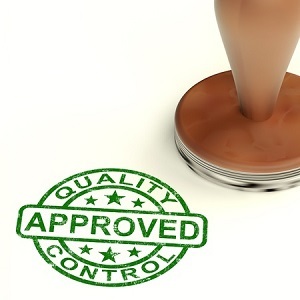 Learning leaders are increasingly recognizing that a quality assurance review, commonly known as QA, is an invaluable component of an effective learning strategy. QA has long been cast aside as a mere nice-to-have. But as learning solutions development becomes ever more complex, QA is finally being viewed as the necessity that it truly is. While the initial implementation of a QA process is often met with grousing and disregard from others in the training deliverables development process, those skeptical team members turn into avid QA ambassadors the moment the process results in a catch that saves a project from doom. When incorporating a QA process into your learning strategy, the most important step—as well as the most difficult—is changing the culture of your learning and development organization. QA is a culture, not just an activity, and genuinely caring about quality is most of the battle. When learning solutions contain errors, no matter how severe or minor, it undermines the credibility of not just the training deliverable, but of the entire L&D organization. Besides being an inferior product, it damages your L&D brand and thereby makes it harder to win stakeholder support for future learning initiatives. Therefore, learning leaders must preach the importance of quality assurance and insist that it be taken seriously by everyone in the learning function. Instituting a QA process doesn't necessarily have to be expensive, but invariably there will be a cost of time and resources. The gold standard is to have a team of dedicated QA specialists (which is a selling point in the case for learning consulting), but it's possible to operate effectively with a quality assurance process that relies on borrowing personnel from elsewhere in the L&D organization. Whichever arrangement is selected, learning leaders should realistically plan for the scheduling and cost implications of QA before launching the quality effort. Resource allocation needs to be an integral part of the process, not an afterthought. Bullet lists: Will you capitalize the first word of a bullet, or will it be lowercased? Will you include ending periods? Will you allow sub-bullets, and if so, how many, and what will the bullet style look like? Fonts: What are the permissible typefaces? How large should the font be, both in body copy and in headlines? Are bold and italics to be used, and if so, in what circumstances? Capitalization: If you must deviate from standard capitalization rules, a best practice is to delineate which categories of words you will capitalize. For example, are you going to capitalize job titles? Organizational departments? Industry jargon? Whatever you decide, apply the rule consistently. And if there is a specific word that must always be capitalized, call that out in the style guide. Language: Are there certain words or phrases to avoid, or industry jargon to define? For example, will you call them learners or participants, and do you prefer e-learning or eLearning? Graphical elements: Spell out when it is appropriate to use certain design features, such as colored boxes or icons, and include some sample images showing how they're supposed to appear. This is only the tip of the iceberg; the more detailed your style guide, the more consistent your training deliverables will be and the more professional your L&D organization will appear. Note that you may wish to develop both a general-purpose style guide, along with a project-specific style guide that sets uniform rules for minutiae that applies to a given course development. Establish a process for logging problems. This may vary based on the stage of development, the type of training deliverable being created, or the platform being used. For a Word document, it may be appropriate simply to make edits with track changes on; if reviewing a PowerPoint deck, you could use the native comments feature. Depending on the size and scope of your learning department, you may opt to designate a dedicated QA team, or you may choose to rotate QA responsibilities among the L&D organization. Once roles are assigned, the next step is to formulate the process itself. When reviewing eLearning, there should be at least three phases of review: storyboard, alpha, and beta. The earlier issues are caught, the easier it is to address them, therefore the bulk of changes should ideally be made between the storyboard and alpha phases. At alpha, check for functionality and content, using the storyboard as the guide, and try to "break" the course. Most style and design issues should have been caught in storyboard review, but still keep an eye out for anything missed. The beta stage is the "fine-toothed comb" review, checking to see that all previously identified issues have been addressed and that nothing else slipped through the cracks. Finally, keep in mind that no matter how meticulous an individual is, no matter how talented a writer, no matter how sound the instructional design, it is always harder to conduct QA on one's own work. You know what you intended to say, so you don't read it as closely. Your design reflects your perceived best choices, so of course you're not going to recommend any improvements to your own work. Put simply: If you're not involving at least one other person in the QA process, then you're not actually doing QA. QA is just one component of a larger strategic management process within the overall learning strategy. Once QA is defined, work on implementing a sustainable learning plan to make sure your quality learning solutions remain relevant and current. Then, get your One Page Plan in place; the single-sheet learning plan will help you better coordinate your team, streamline your budget, improve cross-departmental collaboration, and align your KPIs to the organization’s business strategies.